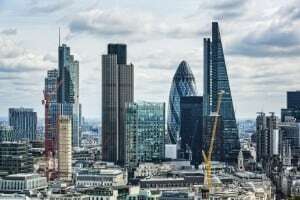 The Freight Transport Association (FTA) has stated that the implementation of new clean air regulations in London could place an unnecessary cost burden on small businesses. A consultation was launched earlier this week by the Mayor of London's Office into the introduction of a new £10 charge for the most polluting vehicles and the impending extension of the London Ultra-Low Emission Zone. FTA head of national and regional policy Christopher Snelling argued that while the organisation supports the introduction of new legislation and restrictions on highly-polluting vehicles, there must also be a focus on ensuring the economic benefits of such an approach to make the project sustainable. "No-one disputes the need to improve air quality. What we do object to is the one-sided nature of these measures – all burden and no support," he stated. "London could improve air quality more quickly, and reduce the burden on businesses at the same time, by offering a temporary discount to the Congestion Charge for compliant vehicles prior to the Ultra-Low Emission Zone starting." As such, the FTA has called for a graduated introduction of the new Ultra-Low Emission Zone charging scheme, with the use of a temporary discount on the Congestion Charge ahead of the new start date of the Ultra-Low Emission Zone in 2019. It is hoped that such a move would help to ease the financial burden on compliance for many businesses and travellers across the capital.